and utility. ’Courtney is a collaborator in search of a beautiful process that constantly engages the vision and imagination of her client. She has worked with dream clients on dream projects—from Disney to homes, offices and retail spaces for celebrities and business executives. Clients including Queen Latifah, Sean “P. 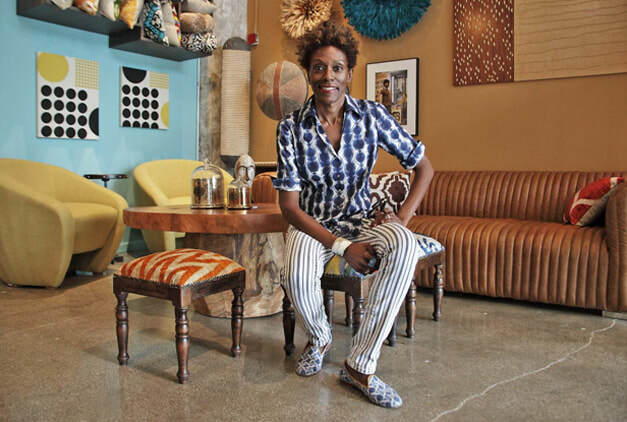 Diddy” Combs, Sony and Avalon Bay Communities, Inc. have all appreciated and come back for more of her thoughtful, thorough approach to personalizing their environments. Courtney has been practicing interior design for over 20 years. Courtney began in downtown Jersey City and has taken her on a journey working on both commercial and residential projects around the globe. Courtney is recognized as one of the leading interior designers in the nation and has been acknowledged by many of the top interior architectural / design magazines, books, and various televisions shows.